MISSION 1 is our short term mission and service opportunities which take teams of individuals, small groups, and R1 Task Force groups. MISSION 1 TEAMS provide individuals, small groups and Reach 1 Teams with practical, spirit-filled ways to serve a community, make a difference and be a part of building the Kingdom. We are aware that we can never end human afflictions. On the other hand, we are passionately committed to serving the poor and needy. We do this by providing them with the resources necessary for security, empowerment, personal growth, and future success. Making a difference in just one life is worth all the sacrifice in the world. Experience tells us that as we build relationships within the community, while meeting the physical and emotional needs, hearts begin to open to the need for Christ. 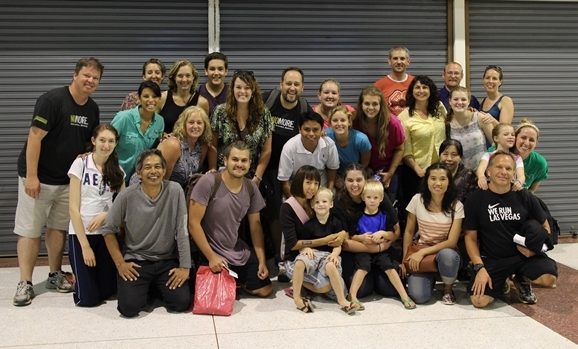 Short-term mission trips are not just for young adults! Anyone can and should go. GO! Challenge yourself or your REACH 1 TEAM to go beyond your normal routine of service. Spend a few weeks to several months serving people around the world or right here in the U.S.
Ready to GO? Join us in Nashville or Thailand or Philippines!